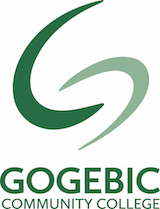 Gogebic Community College seeks candidates for a full-time Workforce Development Director at our Ironwood, Michigan campus. This position reports to the Dean of Instruction. The Workforce Development Director identifies and develops programs that provide students, alumni, employed and unemployed workers with skills necessary to support the employment needs of the community. The position is responsible for developing programs offered to business, industry, government, citizens, and nonprofit agencies. Provides leadership for the planning, development and delivery of workforce development contacts and apprenticeship/internship programs offered for credit and not for credit. Plans personal professional development designed to keep abreast of the technical requirements of employees in modern manufacturing facilities, health care institutions, and business environments. Supervises all parts of training for employees in business and industry that are funded with the Michigan New Jobs Training Act. Conducts an annual review of the college programs following the format of the college’s program review process when practical. Seeks program input from faculty and advisory committees for the planning and evaluation of programs. Develops and oversees the workforce development budget, including grants in which the position is expected to seek out. Recruits qualified faculty and facilitators that meets the expectations of clients. Serves as college representative at functions designed to promote access to workforce development opportunities. Actively develops business and professional relationships, represents the college on relevant committees and boards, and performs regular business and industry site visits to ensure quality apprenticeship/internship experiences and promote training opportunities. Seeks and manages grants that provide training opportunities for employees and citizens and funding for the college. Serve as liaison promoting cooperation with appropriate public and private agencies impacting workforce development. Meets regularly with the Dean of Instruction and other members of the Executive Committee to collaborate and provide updates. Works with occupational faculty to recruit potential students and market training programs. Performs other tasks as assigned. Bachelor’s degree with an emphasis on community education, educational leadership, business development, or other applicable education. Broad knowledge of business and manufacturing including manufacturing processes, knowledge of economic development and community enterprise activities, and a general understanding of contracted employee arrangements. Ability to conceptualize future trends, opportunities, barriers, and solutions to enable the college’s success and growth in continuing education and industry training. Ability to win trust, exert influence, and work effectively with business professionals, community leaders, and citizen advisory groups in the building of community partnerships. Physical Demands The physical demands described here are representative of those that must be met by an employee to successfully perform the essential functions of this job. Reasonable accommodations may be made to enable individuals with disabilities to perform the essential functions. While performing the duties of this job, the employee is regularly required to sit. The employee frequently is required to use hands to handle, or feel; reach with hands and arms; and talk and hear. The employee is occasionally required to stand and walk. The employee must regularly lift and/or move up to 10 pounds and occasionally lift and/or move up to 25 pounds. Specific vision abilities required by this job include close vision, and ability to adjust focus. Work Environment The work environment characteristics described here are representative of those an employee encounters while performing the essential functions of this job. Reasonable accommodations may be made to enable individuals with disabilities to perform the essential functions. While performing the duties of this job, the employee regularly works in indoor conditions and regularly works near video display. The noise level in the work environment is usually moderate. Applications will be accepted until April 16, 2019. Gogebic Community College is an equal opportunity educator and employer. 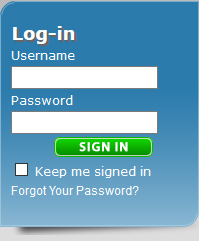 Copyright © 2010 Community College Jobs - All Rights Reserved.